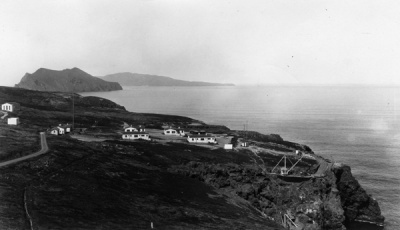 COAST GUARD housing on East Anacapa Island, was completed in 1932. 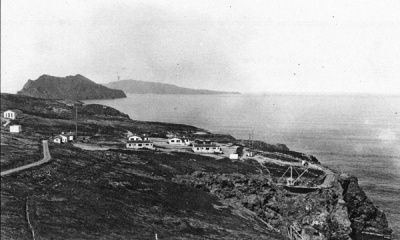 In 1911, a 50-foot metal tower with a light atop it had been constructed on the tip of East Anacapa. In clear weather, the light could be seen from a distance of 20 miles. But a larger and more visible light was needed. 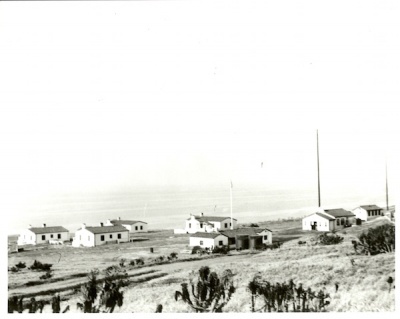 In the early 1930s, the Coast Guard built a complex of buildings atop East Anacapa Island, a facility they manned for over 50 years. Built in a Spanish Revival style, in 1991 the remaining buildings were placed on the National Register of Historic Places. 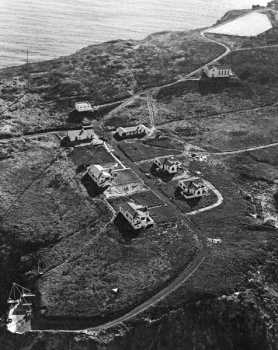 Five buildings remain from the original Coast Guard colony. (Three houses were torn down.) 2017. 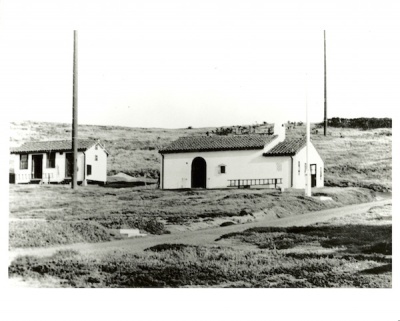 The Assistant Light House keepers house was one of the buildings saved on East Anacapa Island. 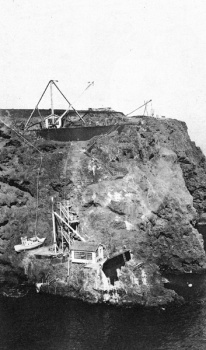 It has been used as a ranger's residence by Channel Islands National Park. 2017. This page was last edited on 20 August 2017, at 08:42.